Good news shoppers! 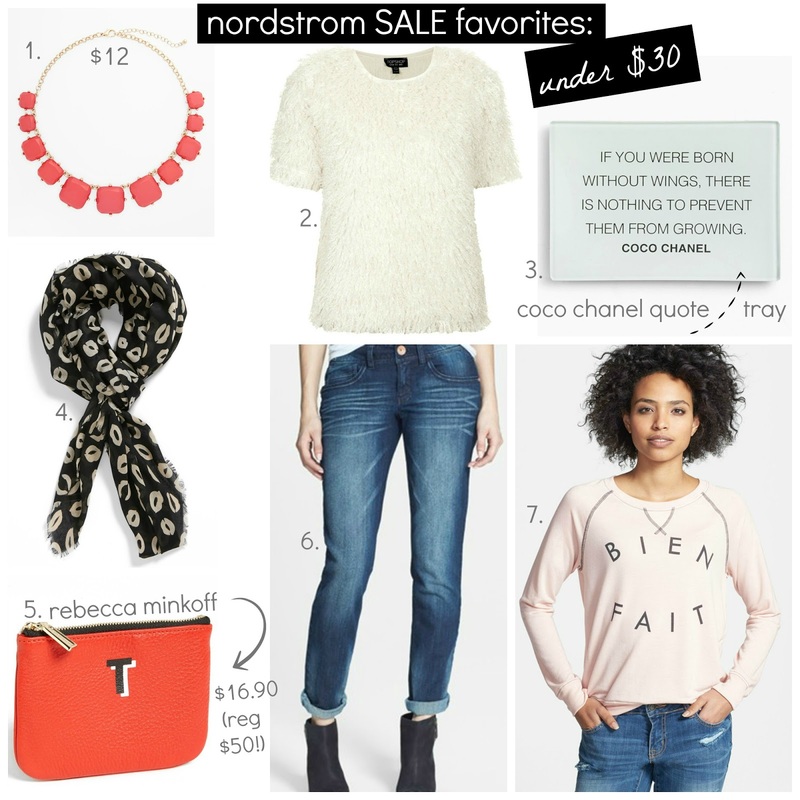 Nordstrom just added even more new markdowns just in time for the weekend. Some of these finds are favorites of mine I first spotted at (gasp!) regular price. I have been patiently waiting for the French statement sweatshirt to go on sale... and voila, it finally did! The Rebecca Minkoff pouches can never be found at this price and with most of the monogrammed initials still available, I wasn't passing this one up either. Shop fast my fashionistas, these won't stay in stock for long! Thanks for reading and stay tuned for an update on the Peter Pilotto x Target Launch! Um...what an awesome deal on the Rebecca Minkoff! I also love the outfit in your faves. These are some serious deals! I'm gonna check out those jeans! Weekend Sales to Shop + Sale Picks under $30!